The Dallas Cowboys are in good shape heading into the 2019 season. For 30 teams in the league, the offseason has already begun and it's time to improve those rosters. Naturally, this means months of discussing how the team should approach free agency and each of the draft picks they own await us. Today, we won't be talking about the Dallas Cowboys top needs, though. Instead, let's take a look at three positions in which the Cowboys will need help, but that many are underrating. Of course, these are positions the front office won't be looking to prioritize but that could use help in the later rounds of the 2019 NFL Draft. Brett Maher's story in Dallas was actually pretty interesting. It began with the release of one of the greatest Cowboys in team history. After an amazing career wearing the Star, Dan Bailey's injury and signs of regression cost him his job. Enter Maher, who had yet to make a kick in the NFL. He had spent most of his career in the CFL and his time in the NFL was limited to preseason and offseason action only. After missing his first attempt for the Cowboys in week 1, the 29-year old kicker went on a hot streak, nailing 15 consecutive attempts. Since then he missed seven field goals (including playoffs), scoring in only 68% of his kicks. Certainly, the Cowboys shouldn't be comfortable going into 2019 with Maher as the kicker. Sure, they could be okay with him, but they could also do a lot better. I wouldn't be surprised if they decide to draft a kicker on Day 3 of the 2019 NFL Draft. Before you pick up your torches after my "draft a kicker" suggestion, think about how many seventh rounders actually make the 53-man roster. If a quality prospect for the job is there, take him. La'el Collins had a rough 2018. Although he did improve as the season went on (specifically once Marc Colombo took over as OL coach), he probably didn't do enough to lock up a contract extension. Collins' contract expires in 2019. The Cowboys are set to have a lot of cap space at their disposal, but their priorities will likely be somewhere else rather than in extending Collins. Drafting a young talent to develop him for the future should be an option for the front office. Plus, they could use the depth. 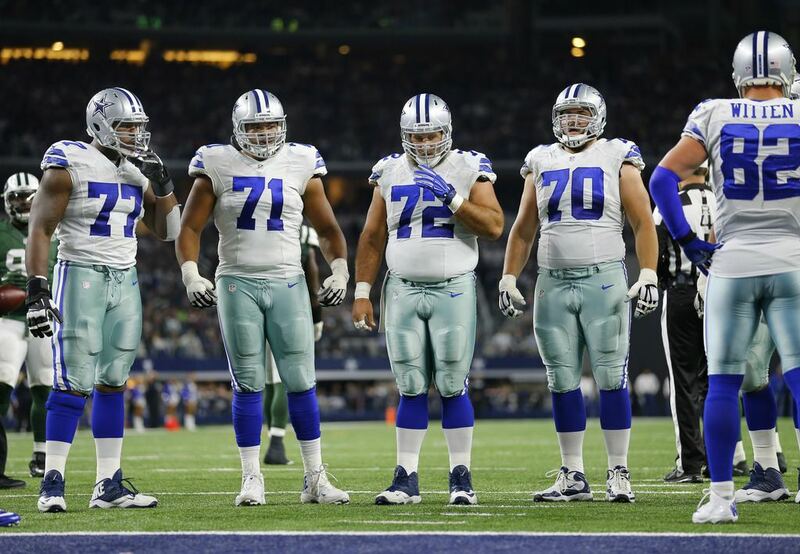 Tyron Smith's play has suffered as much as the longtime left tackle has suffered injuries. We've seen how much the unit struggles when he's out. Dak Prescott would definitely appreciate a decent backup. Yes, I'm aware of who Jaylon Smith and Leighton Vander Esch are. In fact, they're undoubtedly one of the best linebacker duos in the entire NFL. However, I'm also aware that Sean Lee will be 33 years old next season and that he's a candidate to be a cap casualty. And even if he isn't, he likely won't be around for the 2020 season. The Cowboys count with some interesting names on the linebacker's depth chart, but I'd definitely consider drafting one if he's the best player on the board on Day 3. One of the biggest problems for the team on the playoffs versus the Rams was the linebackers. The NFC Champion's running game exhausted the Cowboys' front seven as they managed to control the time of possession and wreck the defense. Tell me what you think about "Cowboys Draft: Underrated Team Needs for 2019" in the comments below, or tweet me @MauNFL and let’s talk football! If you like football and are looking for a Dallas Cowboys show in Spanish, don’t miss my weekly Facebook Live! show, Primero Cowboys!